India Handmade Giraffe Ornaments (Set of 4), "Happy Giraffes"
Designed by Rajesh Gehlot, these holiday ornaments feature happy animals. 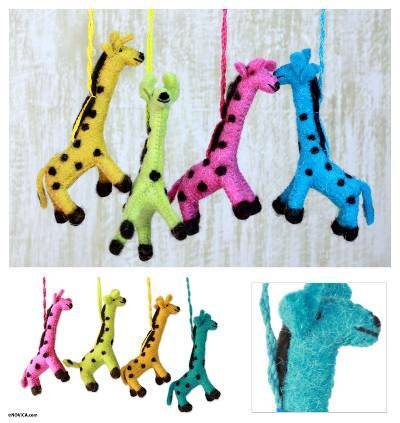 The colorful giraffes are crafted by hand and embroidered. The set of four arrives in a drawstring pouch.